The 20th Century Fox back lot and a view to the Pacific ocean. I’m in Los Angeles for a few days on business. I needed a hotel, of course, but did not want to spend the huge money that Los Angeles hotels can cost. Priceline came to my rescue. On Priceline you pick an area of the city and a quality level of the hotel and make a bid. If they can find a hotel will accept you have a room. If not, sometimes they will suggest a higher price that would work. I suspect this is a bit of a scam, but since the prices are still well below market I can live with it. I was looking for a three star hotel, and was willing to bid $120 a night. That did not work, but they said I would get a room if I bid $148 a night, so I did. 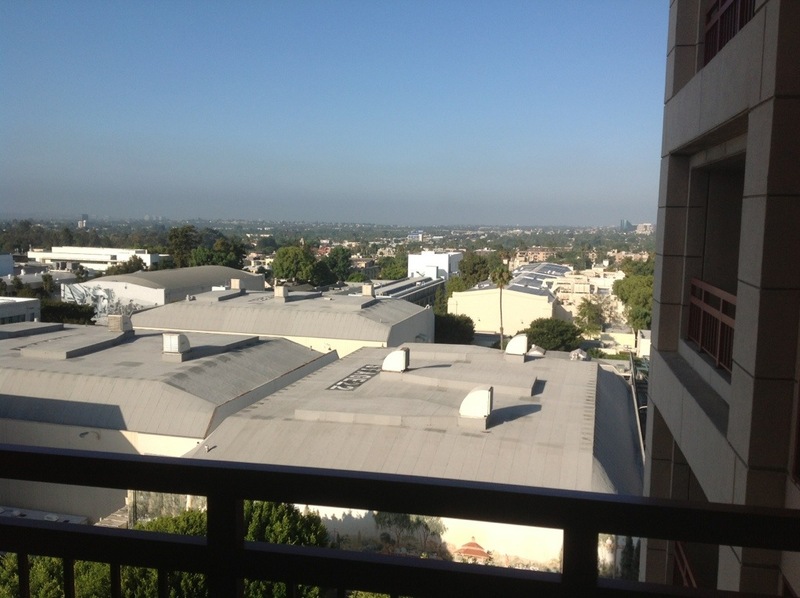 To my elation, I got a four star hotel in the middle of Century City right behind the 20th Century Fox movie lot. I’m staying at the Hotel Intercontinental, a luxury facility. I have a large, beautiful room. The television has four Arabic language channels, along with everything else you would expect. The toilet has a sprayer attachment, so I assume they expect a lot of Asian guests. This room would ordinarily sell for roughly twice what I am paying, but Priceline lets them sell their excess inventory and at least make a few dollars. They are happy, I am very happy. PL tip….if you get that counteroffer, you can usually undercut it. If you have a free rebid available, reject the counter, then add 50% of the “upsell” that PL wanted. So from $120 to $148, make your next freebid at $132. Thanks Big Don. You saved me some bucks.